Welcome home to your villa with outstanding golf course views! This open floor plan villa features high volume ceilings with skylights and fans. Natural light fills the rooms and a cross breeze is possible with two screened in porches. There is a Den with built-in off of the Dining Room that can also serve as a 3rd Bedroom. The Master Bedroom has a golf course view with a connected Master Bath featuring dual sinks and a large walk in closet. To complete the open feeling of this villa the Master Bedroom has sliding glass doors out onto the screened lanai. There is even a large Garage with room for your golf cart. This villa is being sold furnished and is move in ready. Kingsway Golf Villas is a small community of 104 villas located along the par 72, Eighteen Hole Championship Kingsway Golf Course (membership is not required). Kingsway Golf Villas has an active social calendar and many events throughout the year at their cabana/clubhouse. 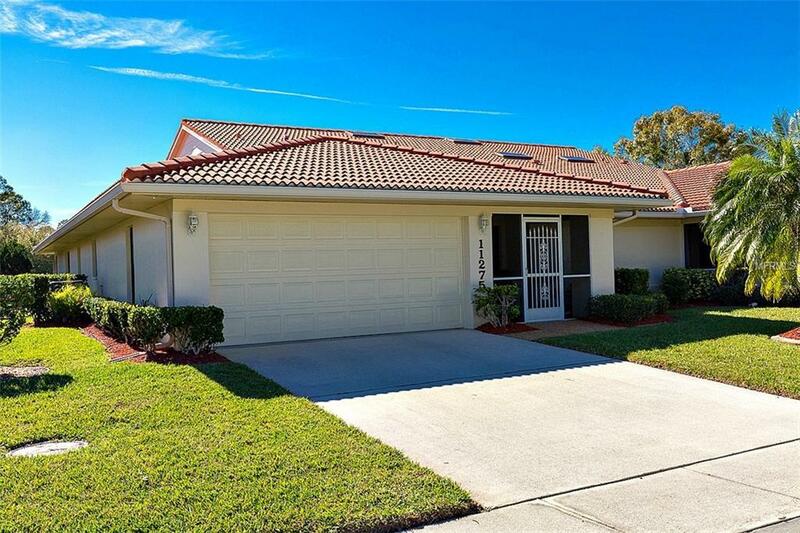 The villas are very sought after due to the reasonable HOA fees and attention to detail, evidenced by the manicured yards and well maintained villas. Additional Lease Restrictions Every Lease Or Rental Agreement Shall Be in Writing And Be Subject To The Requirements Of The Documents; A Duplicate Fully Executed Original Of Same Must Be Filed Prior To Occupancy Of A Unit By A Tenant. Pet Restrictions One Dog (No Pit Bulls) Not To Exceed Approximately Twenty-Five (25) Pounds in Weight At Maturity One Cat Or Other Customary Household Pet May Be Kept Subject To Any Rules And Regulations Adopted By The Association. Listing provided courtesy of Sw Gateway Inc..
© 2019 My Florida Regional Multiple Listing Service, Inc. All rights reserved. All listings displayed pursuant to IDX. All listing information is deemed reliable but not guaranteed and should be independently verified through personal inspection by appropriate professionals. Listings displayed on this website may be subject to prior sale or removal from sale; availability of any listing should always be independently verified. Listing information is provided for consumers personal, non-commercial use, solely to identify potential properties for potential purchase; all other use is strictly prohibited and may violate relevant federal and state law. Data last updated 2019-04-20T10:42:01.717.